New methods of delivery are changing the way manufacturing buildings are procured and built in the United States. Where speed to market is an imperative, integrated project delivery (IPD) significantly compresses schedule while reducing cost of the structural steel and joist package. This was exactly the kind of challenge First Solar presented to our IPD team. Just 16 weeks after the project was awarded to the contractor, this 1.3 million square foot manufacturing facility was designed and detailed, and 400,000 square feet of steel and joist were installed, using integrated project delivery. Within this time frame, design of the building from schematics through construction documents, steel procurement, shop drawing production and review, and fabrication, delivery, and erection of steel and joists were seamlessly delivered by the IPD team. Within the IPD configuration, MBJ performed the dual roles of design-assist engineer and integrated project delivery engineer. Retained by general contractor McShane Construction, MBJ worked as design-assist with structural engineer of record Bakkum Noelke to maximize efficiencies in structural steel members, joists, and metal decking. In the role of IPD engineer, MBJ was retained by steel fabricator Able Steel to provide coordinated steel shop drawings with MBJ’s steel detailing partner LTC, the result of which was to reduce procurement and fabrication times for the joist and steel fabricator. 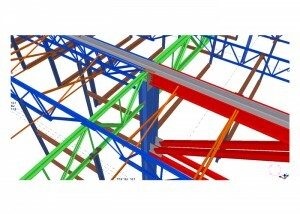 Accurate shared models were essential to the process of coordination, procurement, fabrication, delivery, and erection. 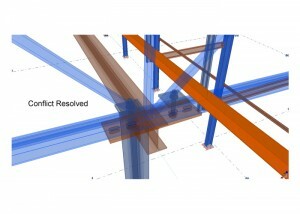 Real-time shop drawings produced in Tekla 3D modeling software kept the steel disciplines working in tandem. MBJ worked with joist fabricator New Millennium to develop early loading packages to size joists and economize joist tonnage, which enabled immediate procurement of material in preparation for fabrication. 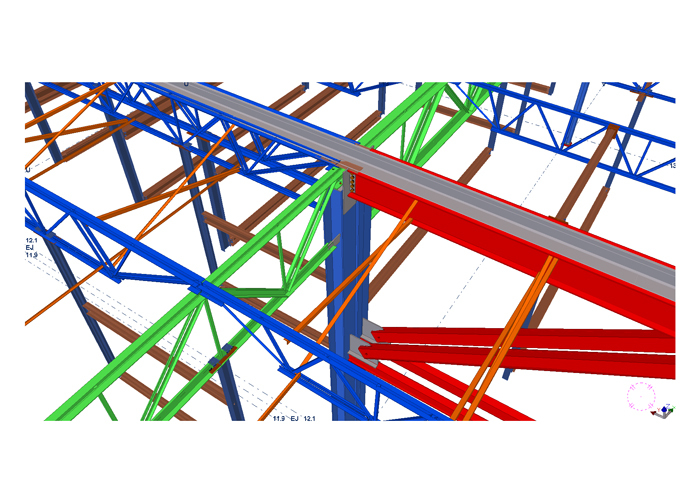 New Millennium provided a complete Tekla model of the joist for coordination of the pipe rack system and structural steel. Using the shared model, MBJ input a generic joist of accurate depth and design loads and transferred it digitally to New Millennium. New Millennium used the loading and depth information to design joist pieces and replace the generic joist in the model with the actual joist, then transferred the model back to MBJ for final coordination with the structural steel packages. This process removed steel joists from the critical path in the schedule and shaved 8 weeks off the procurement and fabrication process. On a parallel path, MBJ, LTC, and Able Steel produced the remaining structural steel and miscellaneous steel models to fully coordinate all models for conflicts, shared connections, and constructability. To expedite the process MBJ, along with Able Steel, performed a full in-model shop drawing review using Tekla and BIM Sight, shaving weeks off the overall schedule. All comments and corrections were made as live changes or noted in the virtual model and quickly revised by LTC. All shop drawings were marked approved as noted. The result was a reduction of 6 working days in the overall steel schedule. 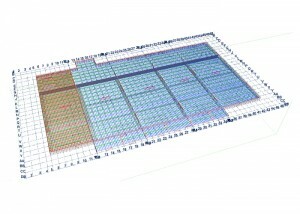 The entire team resolved conflicts among structural steel and joists, pipe racks, joist panel points, and other structural components, including “virtual” RFI’s, preventing them from becoming paper RFI’s and critical path items. All of these efforts effected the successful delivery of a truly coordinated building model to the engineer of record for review.